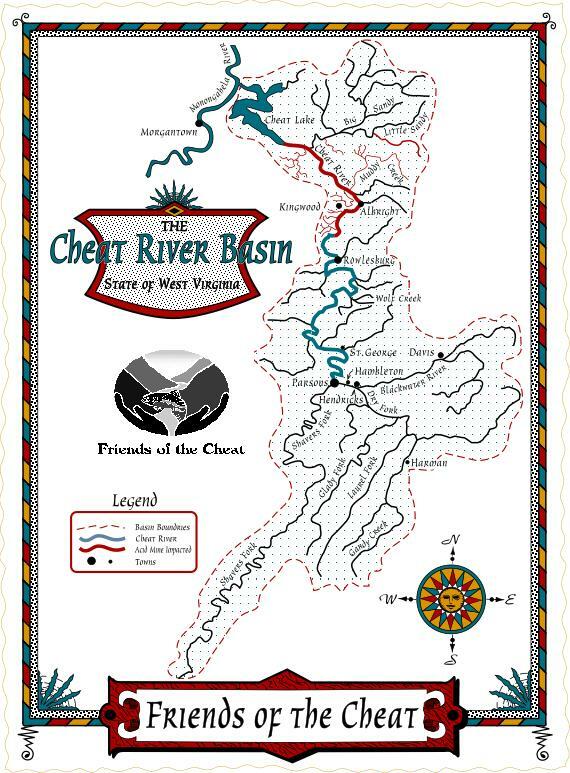 Stay up to date with Friends of the Cheat by reading our State of the Cheat River Watershed Trifold. 2017 was a rollercoaster year for Friends of the Cheat. 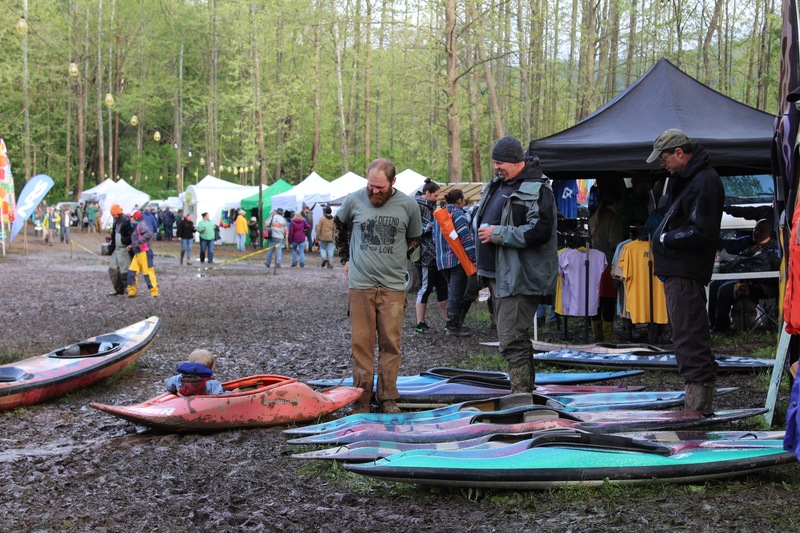 Our most successful Whitewater Access campaign to date was followed by the coldest, wettest Cheat River Festival ever, with unbelievable mud and low attendance. Two Meet the Cheat events put record numbers of paddlers on the Cheat River. While HB 2506, WV drinking water policy changes, gave us nightmares. Through these ups and downs, you, our incredible core of supporters, have remained steady. Your support empowers us to fight for clean water and continue our mission: to restore, preserve, and promote the outstanding natural qualities of the Cheat River watershed. Your financial donations are integral to our organization; they literally keep our boots on the ground, and our lights on. 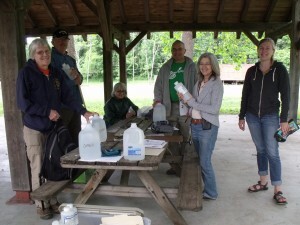 New water monitoring kits for our CAPABLE volunteer base – which doubled! CAPABLE is our citizen science initiative that allows us to keep a watchful eye on at-risk streams through volunteer participation. Our new Bacteria Monitoring Program, testing 9 popular swimming sites along the mainstem of the Cheat River, from Parsons to Cheat Lake. Look for our results at theswimguide.org. Cleared culverts and ditches on both Rockville and Bull Run roads – resulting in improved access to the Cheat Canyon and the Big Sandy. 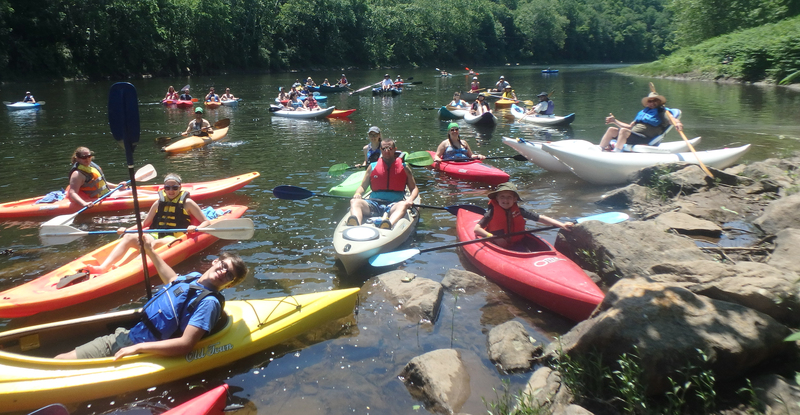 Our largest Meet the Cheat attendance to date – with more than 300 paddlers celebrating outdoor recreation on the Cheat River Water Trail. 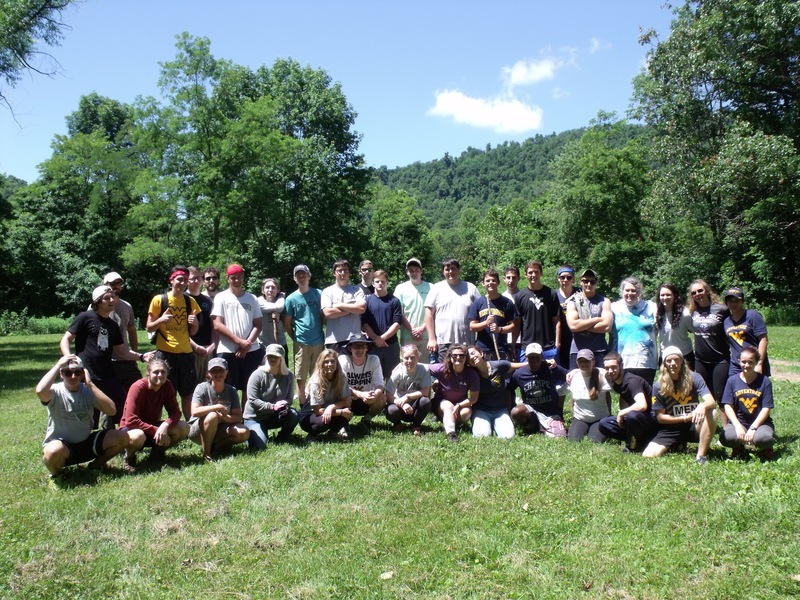 The expansion of our Education and Outreach program, which allowed us to lead over 300 incoming WVU freshmen in community service around the Cheat River watershed. FOC has great things planned for 2018! We are adopting the northernmost 28 miles of the Allegheny Trail, West Virginia’s longest foot trail, which runs 330 miles from the Mason-Dixon Line in Bruceton Mills south to the WV-VA border. FOC will be responsible for the maintenance and improvement of our portion – including 12 miles of true hiking trail along the Cheat Canyon. To do this, we will be expanding our Outreach and Education program even more by leading over 600 Adventure WV students in trail-work and community service over the coming summer! Your donations will help purchase the equipment we need to perform the work, and the staff time needed to organize and lead it. Join FOC in our dedication to safe, healthy water by becoming a sustaining member of Friends of the Cheat. And please ask what we can do for you! We would be happy to present at your local church, your child’s classroom, your clubs and associations. A watershed includes everything within its boundaries, including the people that live and recreate there and we strive to support you too! Together, we can continue to improve this beloved water source that means so much to all of us. Happy West Virginia Day from the Cheat River! 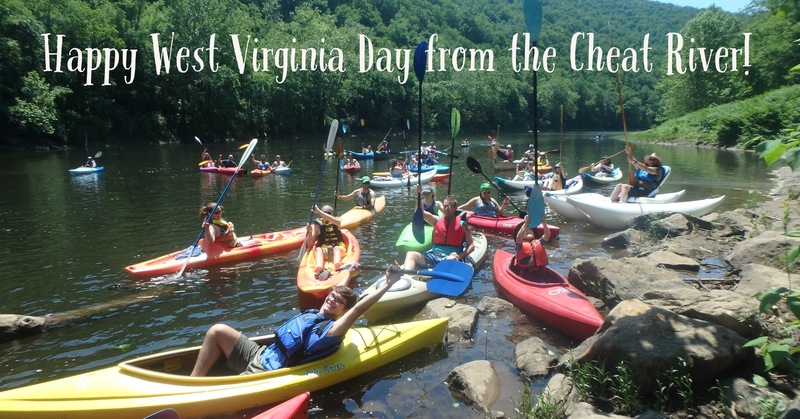 Happy West Virginia Day from the Majestic Cheat River and Friends of the Cheat! 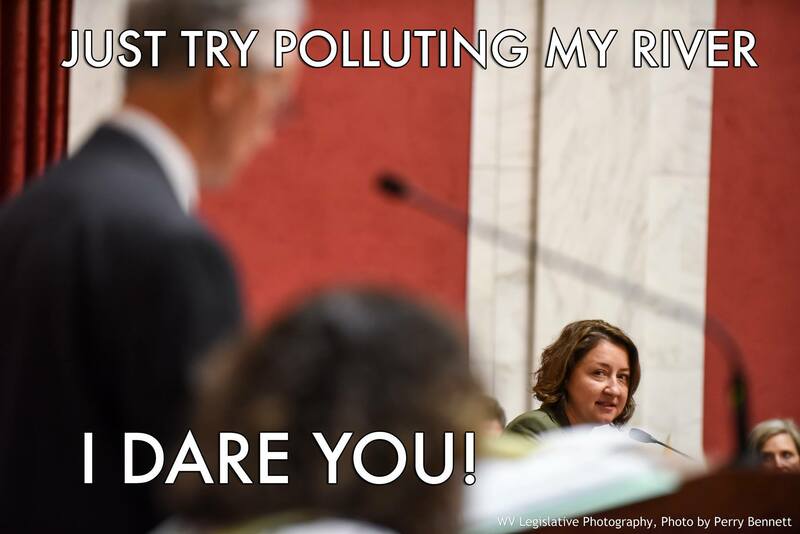 As West Virginians, we know that one of the most wonderful aspects of our state is the grandeur of our rivers and forests. We rely on the health of our water sources and the agencies that protect them. 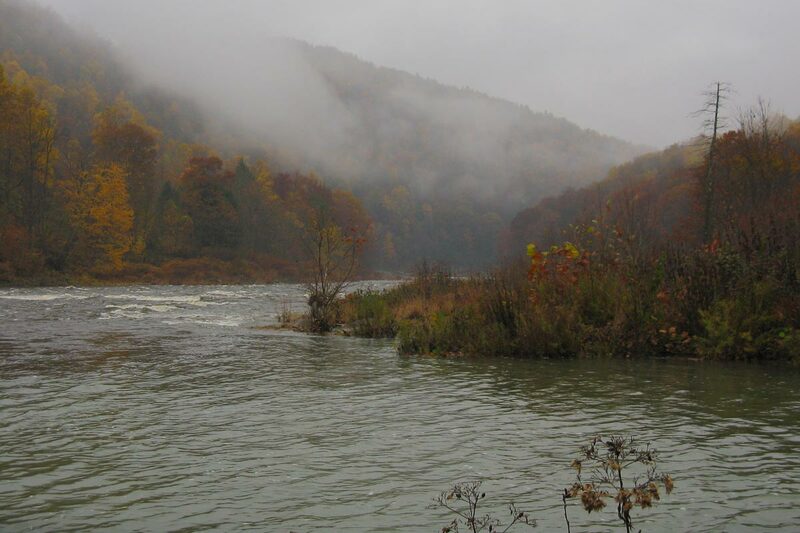 FOC is proud to report that after 23 years of hard work – the Cheat River is reborn and booming! FOC is focused on more than water monitoring; we aim to encourage the public to experience the beauty of our historic waterway for themselves, on the Cheat River Water Trail. 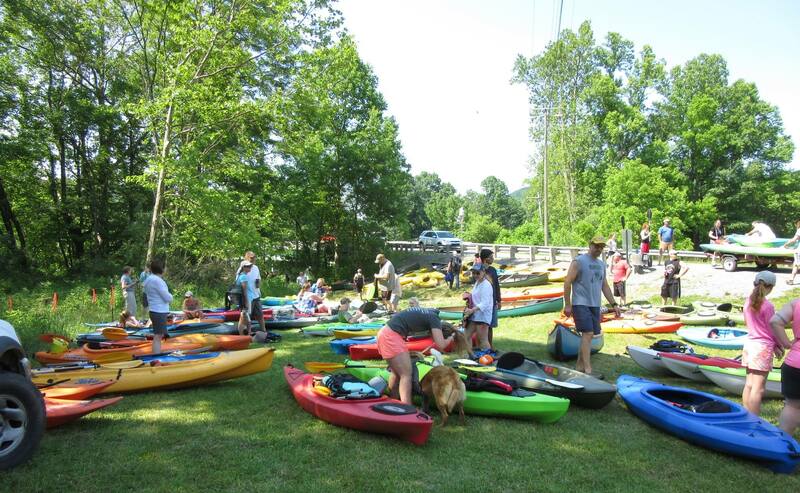 FOC and the Cheat River Water Trail (CRWT) Committee hosted two “Meet the Cheat” paddling events in early June, both with attendance numbers doubling, nearly tripling, since 2016. Collectively, over 300 participants enjoyed the scenic beauty of the Cheat River Water Trail. On June 3rd, 2017, National Trails Day, FOC and CRWT hosted the 2nd annual Preston County Meet the Cheat paddling event in Rowlesburg, WV. 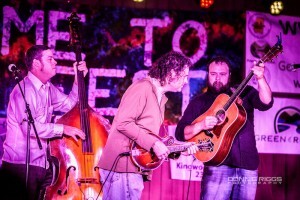 A record 83 attendees floated 3.2 miles from Riverview Lounge to the Rowlesburg Park, where the were met with a complimentary picnic catered by the Rowlesburg Park, and live music by Paul Burger. Registration fees for the first 25 participants needing boats and gear were free, thanks to a generous donation from the Preston County Parks and Recreation Commission. 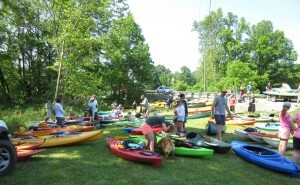 Kayaks and canoes were provided by Blackwater Outdoor Adventures (BOA), along with paddling gear and a free shuttle from the Rowlesburg Park to the put-in. On June 10th, 2017, FOC and the CRWT partnered for the second year with the West Virginia Land Trust and Blackwater Outdoor Adventures to host the 5th annual Tucker County Meet the Cheat paddling event. This year – an astonishing 230 registered participants took to the Cheat River to float from the newly renovated Holly Meadows public access point to St. George, nearly 8 miles. The record set in 2016 was just over 100 paddlers. At the post paddle party at BOA, participants enjoyed donated salads from White Grass Cafe, pizza and wings from CJ’s Pizzeria, and homemade goodies by CRWT committee members Dave and Pam Ruediger and Janet Preston. Live music was provided by members of the LocalMotive, a Davis-based trio. CRWT volunteer extraordinaire Janet Preston collected prizes for a donation-based raffle from many local businesses. FOC and the CRWT are beyond pleased with the level of public participation at both events! The Meet the Cheats are the main fundraisers for the CRWT; money raised at the events are used to maintain and improve public access points, print maps and brochures, and fund CRWT merchandise. The goal of these events are to introduce the public to the fantastic recreational value of the river in their backyard, and bring communities together in celebration of our public spaces. The Cheat River is just one of many gems in our great state – so show your pride in our home this week by visiting your favorite spot of Wild and Wonderful West Virginia! Reflecting on the successes of 2016 – and looking forward to 2017! Since 1994, Friends of Cheat has been working to fulfill its mission of restoring, preserving, and promoting the outstanding natural qualities of the Cheat River watershed. As a supporter of our organization, you may wonder exactly what that means. The quick answer is that without your support – your financial contributions, your volunteering, your help spreading the word about our work – without you, our mission would mean very little. 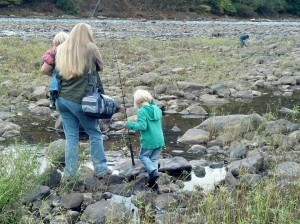 Our successes, our needs, and the river we all love – depend on your help. Conversely, this mission is a reflection of the many achievements Friends of Cheat can accomplish with your support. Over the years, the backing and financial contributions of supporters like you has ultimately allowed our organization to expand its programming and make impactful on-the-ground improvements in the watershed. Today, because of you, we are engaged in all the core actions of our mission statement. Continue maintenance and data collection at nearly 30 water treatment sites throughout the watershed by our expert team of water monitoring staff. Work with the WV State Rail Authority to purchase 8 miles of rail corridor from CSX for development into a non-motorized rail-trail along the Cheat River Narrows. Also – the Cheat River Rail-Trail was awarded $150,000 for the first phase of design and construction! 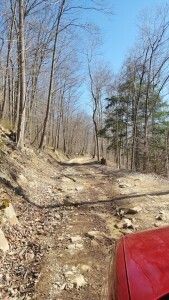 Raise over $6000 through our Whitewater Access Campaign – which payed for repairs along Bull Run Rd. Promote Cheat River recreation with a very successful Cheat River Festival – save the date for the 2017 Cheat River Festival 1.5 – May 5th-6th – tickets available now! Organize the largest group of paddlers to float the river through the Meet the Cheat events. Build restroom facilities at the Doug Ferris Outdoor Classroom for Cheat Canyon paddlers, Allegheny Trail hikers. 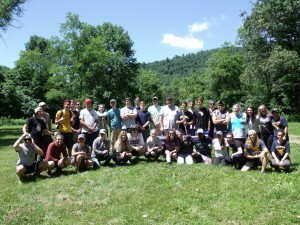 Partner with the WV Adventure Program and engage over 230 students in volunteer service work – resulting in $12,661 of inkind matched funds for our BSROP grant. Raise over $13,000 for the 2016 Run For It 5k in Davis, WV – and come in 3rd in most funds raised. Support the FOC CAPABLE program by raising over $3000 on #GivingTuesday. Other reasons 2016 rocked – FOC/DEPP partnership has been renewed for another 3 years! We hired a new technician, Brian Hurley – as Jeremy Sidebottom left to further his education and travel the world. 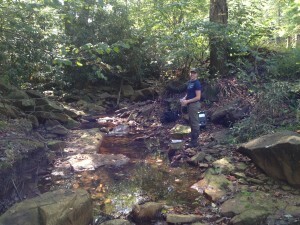 FOC was named Top Water Conservation Group in the Southeast by Blue Ridge Outdoors. Finally! A big win for FOC’s Preston Rail-Trail Committee! Today, project partners Preston County Parks and Recreation Commission (PCPaRC) and Friends of the Cheat (FOC) announced that ten miles of the former West Virginia Northern railroad corridor between Kingwood and Tunnelton has been purchased for conversion into a rail-trail. Funding for the property acquisition was provided by the Federal Highway Administration’s Recreational Trails Program administered by the West Virginia Department of Transportation, Division of Highways; the Hazel Ruby McQuain Charitable Trust; and, the West Virginia Division of Tourism. The property and associated trail rights were purchased from Utah-based Kern Valley Railroad which acquired the railroad in 2000 following the closure of the stakeholder-operated Kingwood Northern tourist train. Since 2002, a group of volunteers known as the Preston Rail-Trail Committee (PRTC) has worked persistently and patiently on developing rail-trails on three corridors in Preston County, and this purchase marks the group’s first rail-trail acquisition. In 2011, FOC took action to bring attention and resources to other aspects of the project. These efforts resulted in a wave of activity: the century old water tower was listed as a historic Endangered Property by Preservation Alliance of West Virginia; funding and technical support from the West Virginia Northern Brownfields Assistance Center supported the development of conceptual revitalization plans for the former railcar maintenance facility near the water tower; and Stan Hostler donated 2.5 acres of property adjacent to the water tower and trail. 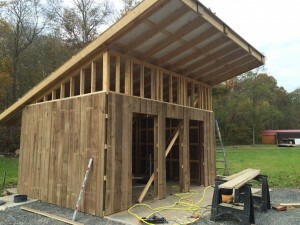 The emergence of the Preston County Parks and Recreation Commission as a partner represents the project’s final keystone because their willingness to own and manage the trail allows the project to come to fruition. 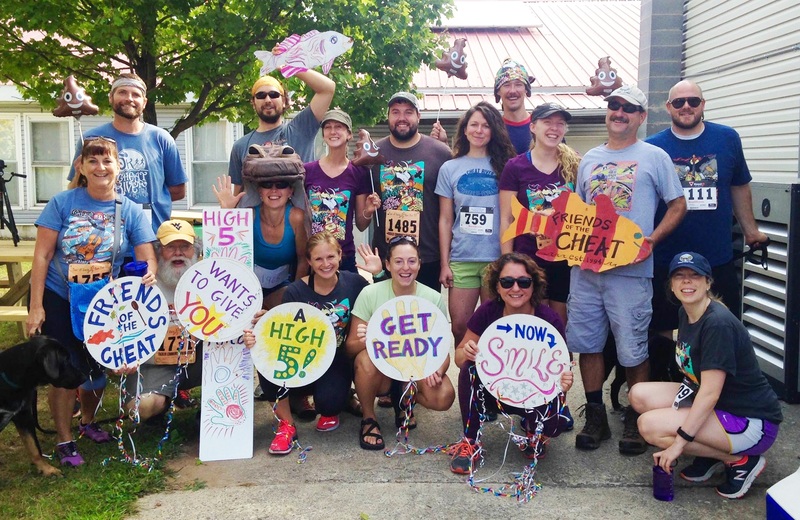 PCPaRC and FOC are ready to hit the trail running, and they have the funds to do so. The Recreational Trails program has granted the project team an additional $420,000 for rail-trail design and construction. With support from the Division of Highways, design will commence immediately with construction slated for 2016. A ground breaking event is being planned for this summer. 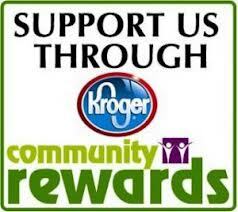 PRTC is eager to get more community members involved. The group meets the first Monday of each month at 5pm at the FOC offices in Kingwood. Learn more at www.cheat.org/recreation/trails. In spirit of Giving Tuesday, make a tribute* in honor of someone special or an entire family on your holiday shopping list. Forego a traditional gift and support FOC’s work to protect the future of the Cheat for generations to come. *Tributes received by December 18th will receive a special gift! Friday June 7th and Saturday June 8th will be the day of the intense, 22-hour Appalachian Trails Ragnar relay race. 8-person teams will be running over 120 miles of trails at Big Bear Camplands in Bruceton Mills. Ragnar Relay has reached out to Friends of the Cheat, seeking volunteers to help make this first annual event a success! Volunteers can help out with activities such as directing camping and parking, and helping the runners have a smooth transition during separate legs of the relay. For each volunteer who pledges 4.5 hours, Ragnar will provide a match of $60 for Friends of the Cheat’s programs. Camping will be provided for the volunteers, so invite your friends and spend the weekend at this incredible event. Signing up for multiple shifts are encouraged! Sign-up for FOC Charity Team #106 to help make this event a success! So far, we have raised $540 through this opportunity, with ability to raise up to $3,200! 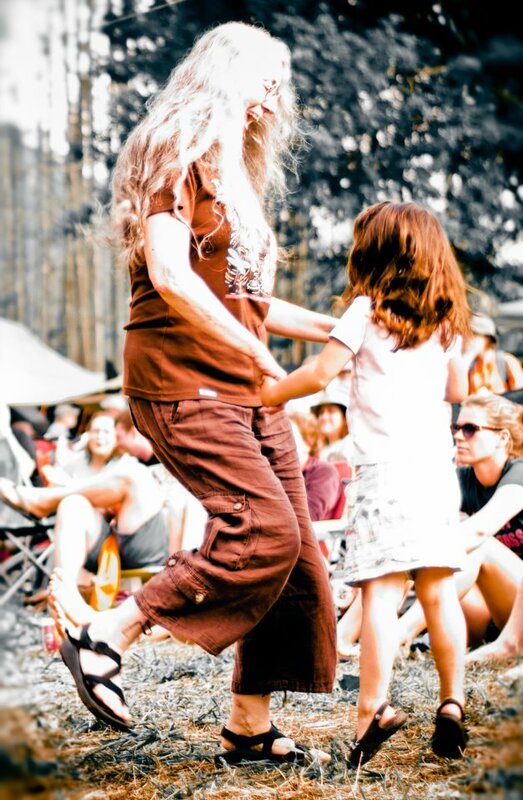 Our Entertainment Coordinator Joan has been searching far and wide this year for Festival acts and we are excited to announce a few teasers to get you thinking about Spring! 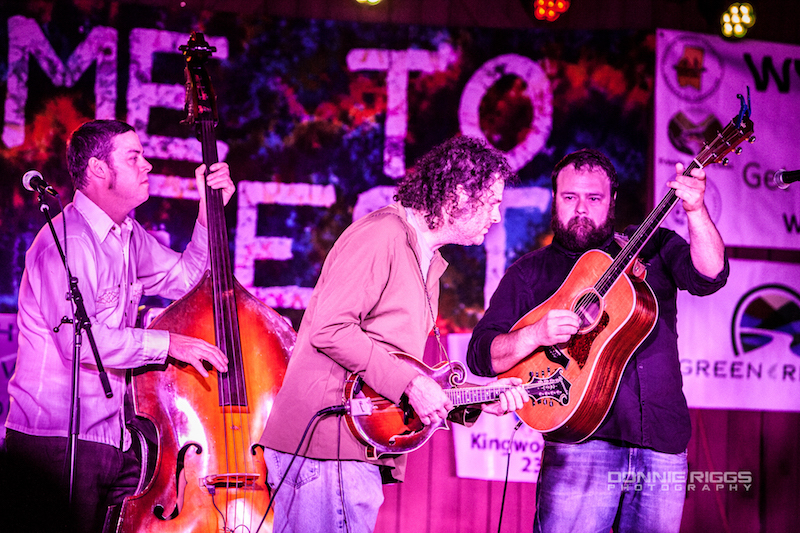 Welcome back our flatlander friends…the Lewis Brothers! Last year was their first appearance on the Cheatfest stage but they had the crowd hooked like a small mouth bass on a night-crawler! (No offense to you die-hard fly fishermen and women.) They are stoked to come back and entertain the masses with their upbeat tunes and on-stage antics…yes, I’m referring to crazy-hat wearing and kazoo playing Dennis the Menace! Check out their website so you can sing along come May 4th! 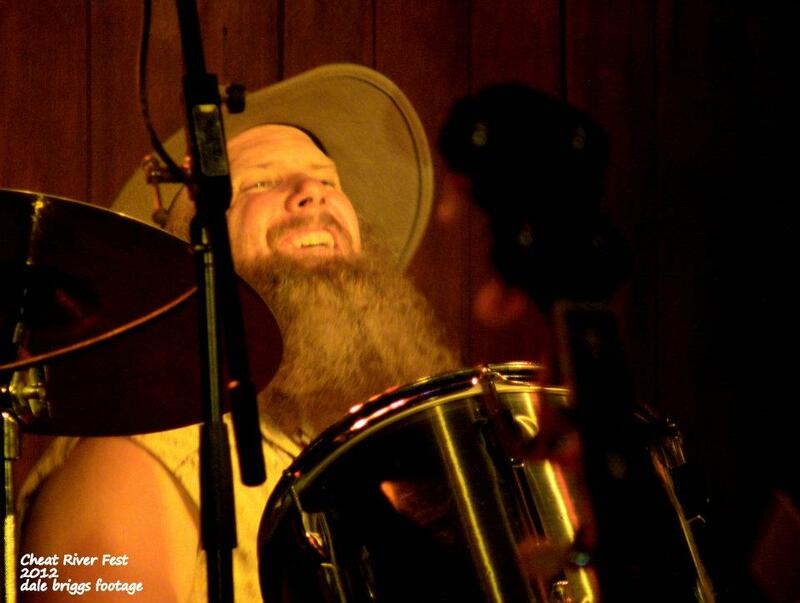 New to the Fest this year is husband-wife duo, Shivering Timbers! “Flirting with the blues and verging on the psychedelic…their songs build and build until they reach an epic crescendo, rock ‘n’ roll is born.” -Dayton City Paper Their list of venues is impressive and they have toured with or been direct support for many great acts including Kenny Loggins, Jessica Lea Mayfield, The Chapin Sisters, and David Wax Museum. 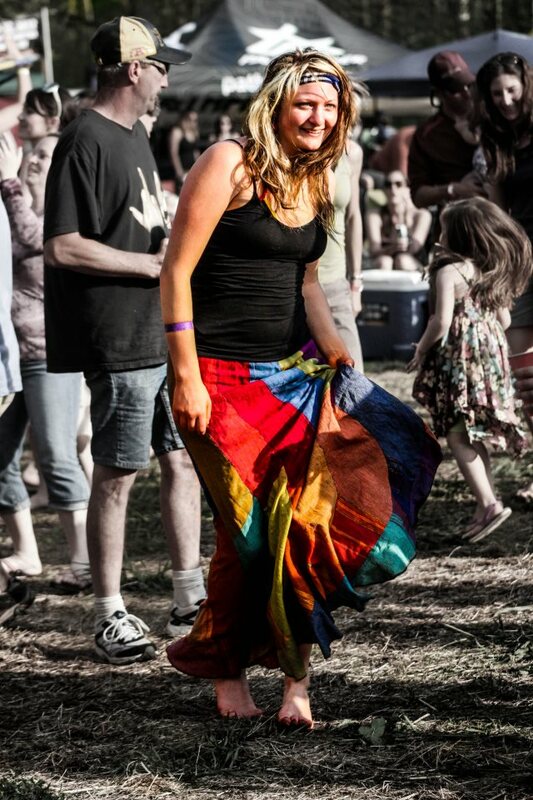 We are so excited to have them bring their unique style to the banks of the mighty Cheat! Mark your calendars for the 19th annual Cheat River Festival–Saturday, May 4th! 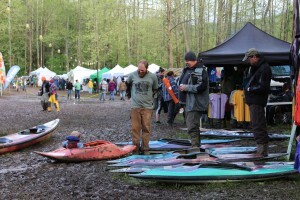 Friends of the Cheat, Inc. a non-profit, grassroots, watershed group based out of Kingwood, WV is seeking a coordinator for the annual Cheat River Festival held on the first Saturday of May since 1994. The Festival Coordinator will be responsible for handling all aspects of festival coordination and execution, including: leading Friends of the Cheat’s Festival Committee; serving as the primary point of contact for festival vendors, key volunteer leaders, and the press; recruiting and coordinating vendors and exhibitors; developing and managing event advertising, marketing materials, and associated grant writing; procuring goods and services related to the festival such as fest merchandise and contractors (sound, security, sanitation, etc. 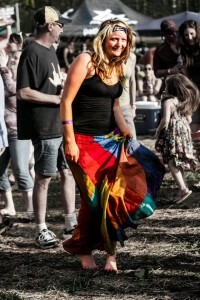 ); procuring donations of goods and services for silent auction and raffles; assisting the volunteer coordinator with volunteer recruitment and management; researching alternative parking procedures; updating and maintaining the festival website and social media outlets; drafting/compiling a festival manual for comprehensive record keeping; and leading the setup, execution, and cleanup of the 2013 festival to be held May 4, 2013. The Festival Coordinator will also work with and provide input to the Festival Site Committee to develop long-term site development plans. The successful Festival Coordinator must be able to coordinate with veteran festival volunteers to maintain and expand the popular aspects of the festival while balancing the organization’s desire to improve the status quo for a more meaningful festival experience and maximized profits. The successful applicant will be competent in MS Office and possess strong verbal communication skills. Excellent organizational skills are a must. Attention to detail, flexibility, and the ability to both work unsupervised and be a team player is key to success. Graphic design knowledge and experience with WordPress websites is beneficial but not required. Friends of the Cheat is offering this position as a $5K contract with a potential cash bonus based on festival profits. The ideal contract period is from 1/15/13 through 6/15/13. Hours will gradually increase from about 10 hours per week to full time as the festival date approaches and taper off during the wrap up period after. Evening and weekend work is required; however, the work schedule is flexible and many duties may be completed from an adequately equipped home office. Festival related travel and mobile phone reimbursement will be built into the contract. Interested applicants should submit a cover letter, resume, and list of three references with contact information by Friday, January 4th to Friends of the Cheat. E-mail submissions are preferred to Amanda@cheat.org. Send hard copies to: Amanda Pitzer, Executive Director, Friends of the Cheat, 119 South Price St., Suite 206, Kingwood, WV 26537. Membership Drive Underway–Special Offer for New Members! It is that time of year again. Hunters are deep in the woods. Families are planning Holiday festivities. Kids are refining their Christmas lists–and so are we! What’s on our list? Donations in support of our work! Our new online membership form makes it easy to donate to FOC (and saves a tree or two and the cost of paper, printing, and postage). An annual membership is $30 and only $20 for students and seniors. If you have never donated to FOC before, we have a special offer for you! Donate today and earn yourself a classic FOC map tee valued at $25! This offer is only good until we run out of tees–so join the ranks of our membership rolls today! Use the online form and include your t-shirt size in the comment line. The back of FOC’s classic map tee illustrating acid mine drainage-impacted streams–free to new members while supplies last!